Some mourners dressed as superheroes at the service for the boy who died from a pellet gun injury. The family of Stanley Metcalf have thanked people for their support ahead of his funeral. Police said they believe they have found the body of Anthony Lawrence who was wanted in connection with the death of Shane Gilmer, 30. James Moorfoot, who was an English teacher at a local school, was playing for Langtoft AFC at Rudston near Bridlington. Maisie Holmes penned a sweet letter to the daughter of the woman whose organ donation gave her own mum a new lease of life. Prince the Bull Mastiff was stolen, placed on Gumtree and sold 24 hours later. 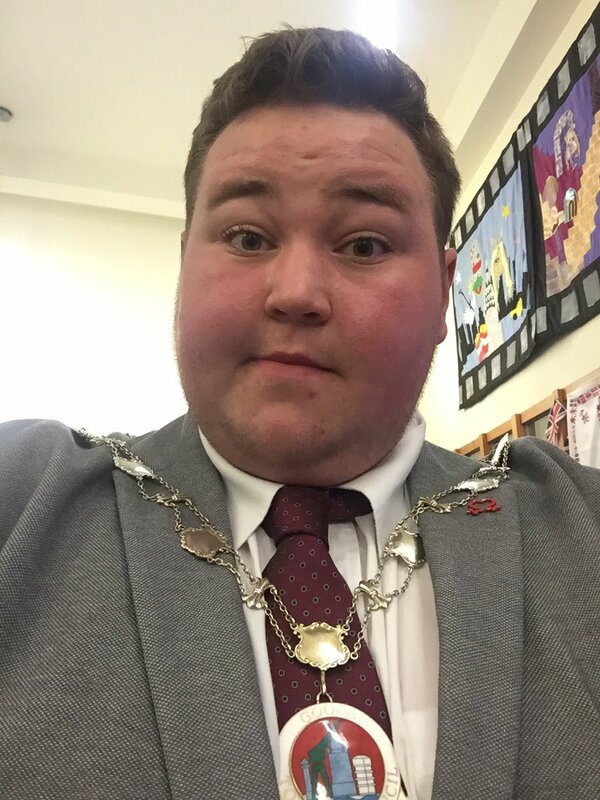 A 19-year-old Labour councillor from Goole has become the youngest mayor in the country. Terence Smith tweeted about his 'pride' after being voted in for a 12-month term at the council's annual meeting on Thursday. David Cameron has urged potential Ukip voters to "come home" to the Conservatives on May 7. The Prime Minister said the General Election was "not a time to send a message or make a protest" but to stop Ed Miliband and Labour forming a government. Cameron said: "I would say to those people that I totally understand the frustration people have felt about issues like immigration where they want more done, and we will do more. "And I understand the frustration about Europe - where the country deserves a referendum - and with me as Prime Minister they'll get that referendum. "But this election is not a time to send a message or make a protest. This election is about choosing the government of our country for the next five years, and the choice could not be starker between a Conservative government led by me, continuing with a plan that's working, and putting it all at risk." Nigel Farage has said Ukip is "becoming the opposition party" in northern England following the defection of Conservative candidate Mike Whitehead earlier today. The Ukip leader denied Whitehead had been sacked by the Conservatives before he moved parties. "He'd been having an argument in East Yorkshire with the Conservative Party," Farage said. "I think when you boil it down what it really comes down to is this - in the north of England the Conservative Party are beginning to disappear the way they have in Scotland, and that Ukip is now becoming the opposition party in the north of England." David Davis has accused Nigel Farage of making a misleading statement over the 'defection' of Conservative Mike Whitehead to Ukip. Just spoken to Tory parliamentary candidate for Hull West and Hessle, Mike Whitehead, who has now left the Conservatives and joined UKIP! Former Conservative leadership contender Davis said: "Given that Nigel Farage claims to be more straightforward than most conventional politicians, his tweet that he had "Just spoken to Tory Parliamentary candidate for Hull West and Hessle who has now left the Conservatives and joined UKIP" is at best disingenuous, and at worst the sort of misleading statement that he is always accusing others of making.